Halloween is always a lot of fun. 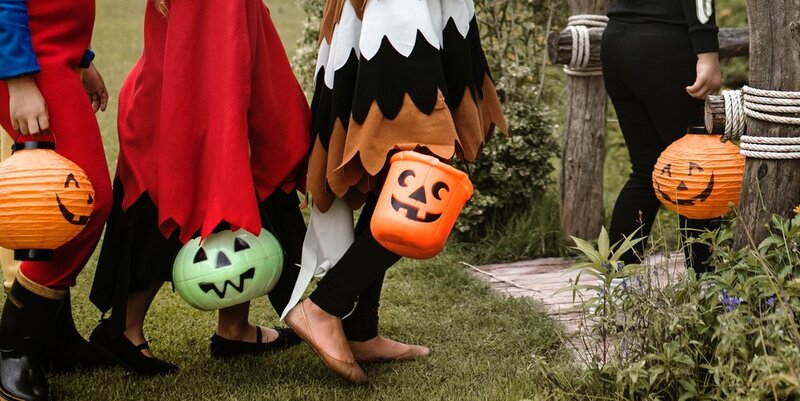 Little goblins, witches, unicorns, and superheroes run amuck in search of candy, pictures are taken, sugar comas ensue, and then it’s officially November and time to pack away those festive costumes and pumpkin pails that won’t be used again until next year. Costumes can take up a lot of space that could otherwise be put to good use, so it’s important to take the time to sort through them and store them in a way that’s not only efficient, but also easily accessible. Below are a few tips on how to get started and factors to consider while sorting. 2. Would it be hard or expensive to replace? 3. Are any pieces of the costume missing or torn? 4. Is it a one trick pony? Get rid of anything that won’t be worn again. Tip: Always keep costumes with decade themes like the ‘70s and ‘80s, because they are often used for all sorts of parties. Also keep items that can be used for multiple costumes — think capes, wigs, and masks. Try to keep in mind any traditions at your kids’ school that might require costumes — for example: a ‘50s-themed father daughter dance. Once you’ve decided what to toss and keep, donate the items that you’re getting rid of and pack up the keepers in a clear storage container, so you can easily see what’s inside. First, I pulled out everything in the closet to see everything all at once. 1. Superheroes and Storm Trooper — my kids are too big for these, good bye! 2. Transformer??? I don’t know what that is, good bye! 3. Random single boot, sunglasses, and other junk, good bye! Definitely keeping the Morph suits, because they are hilarious and my kids really love them. Banana and cheeseburger costumes, because the kids won’t grow out of them and strangely enough they have worn them for many things. This dinosaur costume was very expensive and has been used for many plays and skits. I also decided to keep some masks, a bandana, and plastic weapons, because they can be used for many different costumes. Now that I’ve cleaned out a decent sized pile of costumes the playroom closest has plenty of space to store other items like extra bedding for sleepovers, nerf guns, balls and costumes.